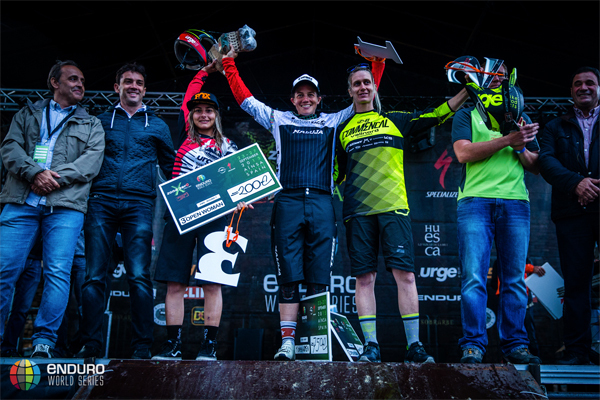 Round Seven of the Enduro World Series, The Specialized Opel Enduro Festival Zona Zero in Spain, was always destined to enter the history books. When you base a race village within the walls of a twelfth century castle and race through ancient cobbled streets it’s bound to leave an impression - but that’s not the only reason Ainsa will be go down as a legendary race. The most extreme weather the series has ever encountered forced the cancellation of a stage - but even flash flooding couldn’t dampen the spirit of this event. Stage eight, the last of the day, was cancelled after torrential rain led to flash flooding turning the track into a river. The results were taken from the first seven stages and therefore it was Tracy Moseley (Trek Factory Racing Enduro Team) and Richie Rude (Yeti/Fox Shox Factory Team) who took the win. Rude had the ride of this life taking all four stages on Saturday, but Sunday was more of a mixed bag as he failed to win any stages, but his blistering pace meant he still finished 20 seconds ahead of the rest of the field. 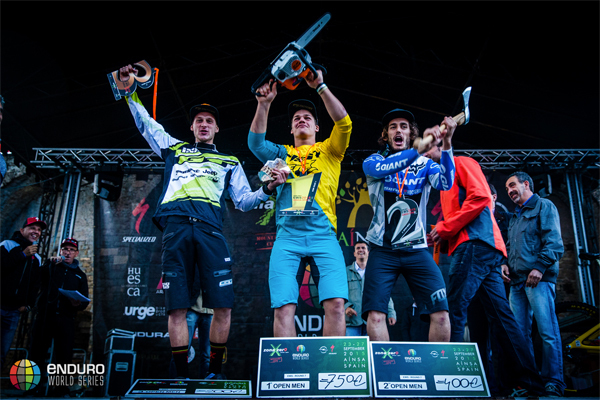 There was no such gaps between second and third place - less than a second separated Yoann Barelli (Giant Factory Off Road Team) and Martin Maes (GT Factory Racing) respectively. In the women’s race Tracy took one less stage than second placed Cecile Ravanel (Commencal Vallnord Enduro Team) but with a 25 second lead she was untouchable. Isabeau Courdurier (Rocky Mountain Urge BP Rally Team) continued her strong season with a third place. And whilst the weather was as dramatic as the setting, it was the crowds of Spanish fans lining the tracks that Ainsa will be remembered for. Every stage was lined with thousands upon thousands of screaming fans, helped along by the bars that had been carried out to every stage. In the Under 21 men’s category it was Amaury Pierron who won by an incredible 40 seconds, with Adrien Dailly (Lapierre Gravity Republic) and Elliot Trabac (Scott SR Suntour Enduro Team). In the U21 Women Axelle Murigneux won convincingly over Martha Gill (Marin Bikes/Stan’s No Tubes). In the Master’s category Carles Barcon won, with Primoz Strancar in second and Eduardo Garcia Cuesto in third. In the team competition Canyon Factory lead the series. 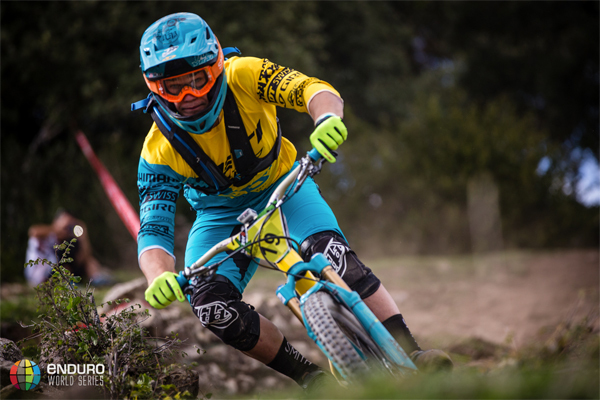 Next weekend sees the series head to Italy for the last race of the year, where 550 riders will take to the famous trails of Finale before the 2015 Enduro World Champions are crowned on the beach.